Is there anything better than sleeping under the stars? In my opinion, yes. 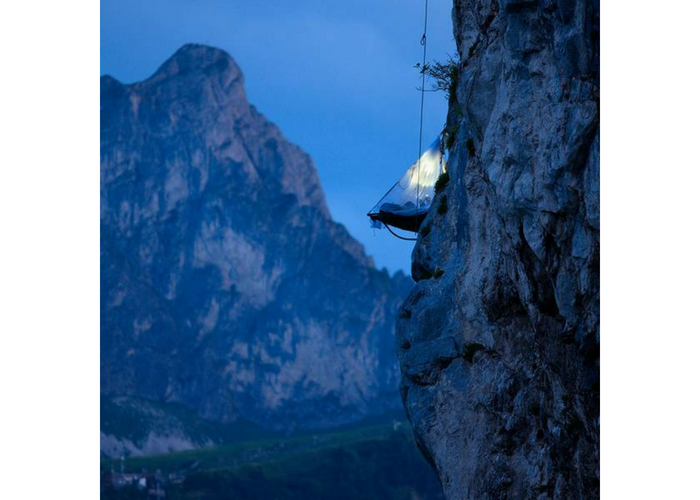 Sleeping under the stars in some of the world’s most luxurious accommodations definitely beats throwing down a sleeping bag. 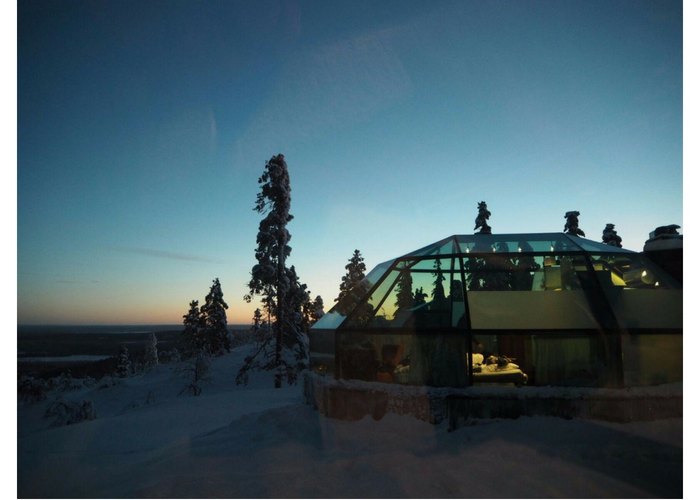 Here are 10 incredible places where you’ll be afforded an uninterrupted nighttime view of the sky—with not even a tent between you and the stars. What’s more romantic than a night in France? A night in France at one of Attrap Reves’ unique bubble suites. 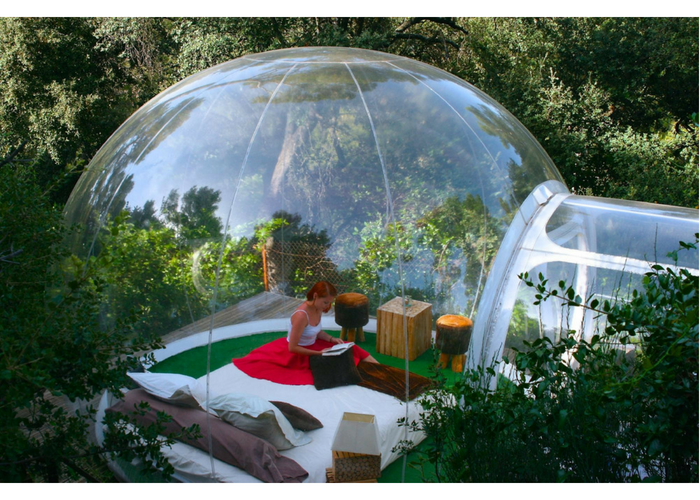 These furnished transparent inflatable spheres are available in a number of locations, including in a Provencal pine forest near Marseille and in a national park. Choose from a bubble underneath the Milky Way, one with a grass floor, or a suite that has its own private bathroom attached. Tinyeleti means “many stars,” and you’ll see why when you spend a night in this South Africa treehouse. You’ll be dropped off after a thrilling day spent on safari—and when the guide drives away, it will just be you and nature for the rest of the evening. The staff will have stocked the treehouse with a gourmet dinner and your choice of beverages, which you’ll enjoy off of fine china at an immaculately set table overlooking the river. As you eat your dinner and watch the setting sun, you can spot animals below as they venture out for a drink. After nightfall, dim the lanterns and retire to your plush bed (with mosquito net) and fall asleep to the roars of lions. 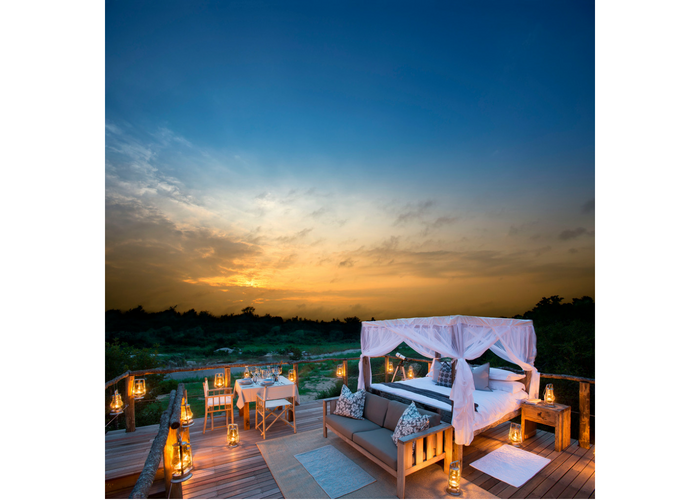 In the morning, the glorious sunrise will wake you up, and you can freshen up in your private bathroom (which has running water), located on the second floor of your treehouse palace, before being picked up for another safari. Want to sleep outside? Push a button. Too hot and want to nap inside? Push the button again. 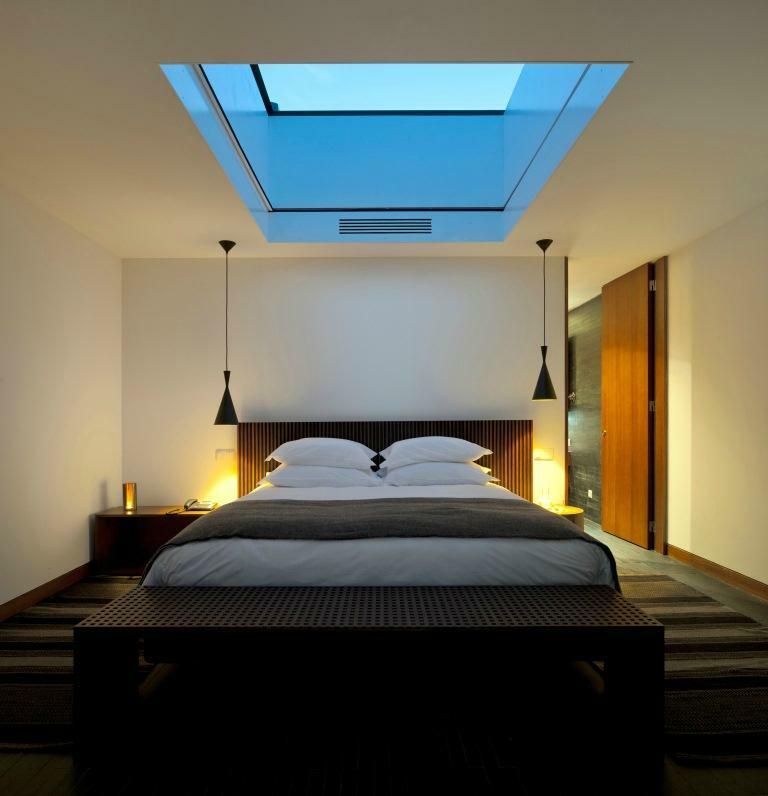 L’And’s Sky Suite, in Portugal’s Alentejo gives guests the best of both worlds, as this amazing suite has a retractable roof. Portugal not where you pictured sleeping outside? This area, set near a lake and a castle, is one the areas in Europe with the least light pollution. 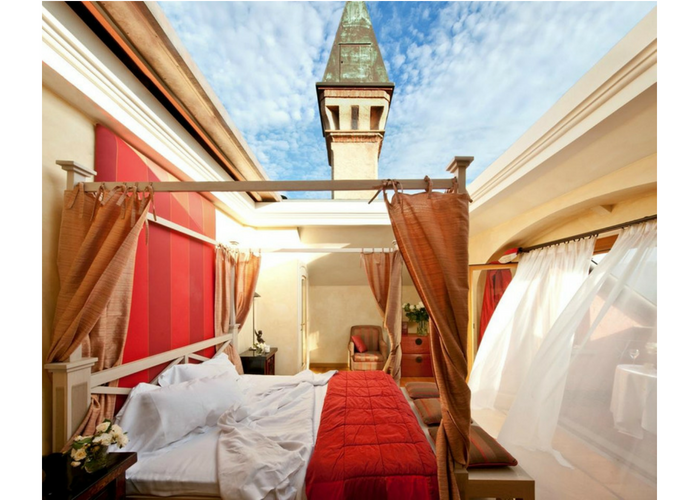 If you wanted to do a “retractable roof tour of Europe,” then your next stop after L’And should be over to L’Albereta Relais & Chateaux in Italy. The Cabriolet Suite, which has a view of the vineyards and Lake Iseo, gives guests the ability to open and close the roof with the touch of a button. Instead of a room with a view, book the “View with a Room” at the Bangkok Tree house. This open-air platform is perched 23 feet up, surrounded by mangrove palm trees for privacy. If you want something even more open to the elements, the unbelievable-looking River Nest (currently under renovation) is simply a bed that floats in the nearby river. Depending on how adventurous you want to get, there are a few sleeping options for you at Germany’s Waldseilgarten Höllschlucht. 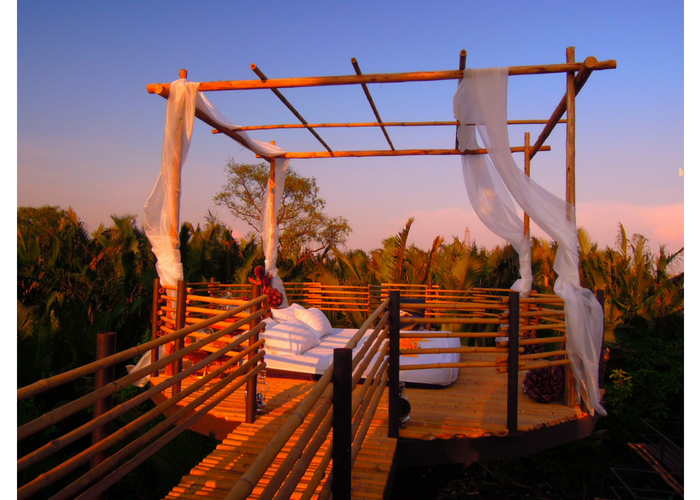 The most photo-worthy is the “Tree Tops” version, where you will sleep on canopied ledge hung from a high tree branch. Be warned though, you’ll need to use a rope to get up and down. There’s also the Big Wall, a ledge suspended from a cliff face; or the wooden platform, which is the most solid option. 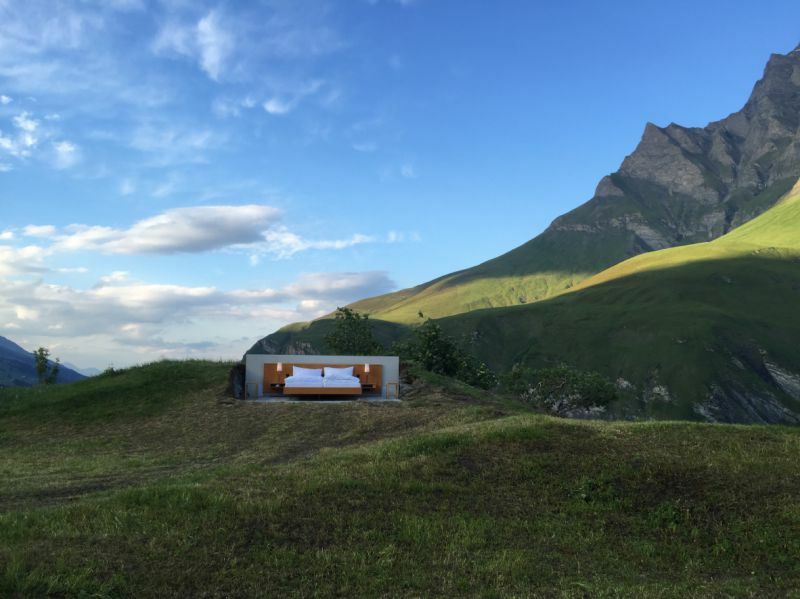 This one-room “hotel” is seasonal for a reason—it’s basically your standard hotel room dropped down into the middle of the Swiss countryside (without walls or a roof). Designed by conceptual artists Frank and Patrik Riklin, Null Stern Hotel’s double bed is fully booked for 2016, but you can make a reservation for the 2017 summer now. 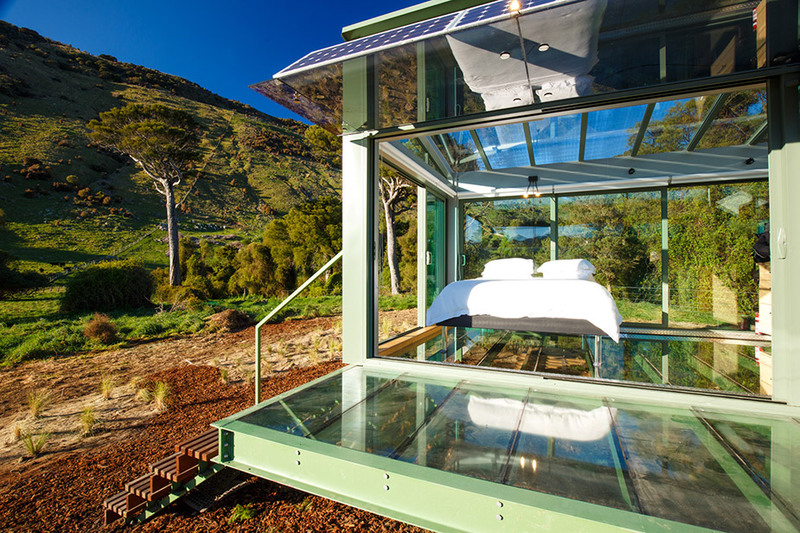 Get a view of the sky and the earth when you stay in one of the Pure Pods in New Zealand. These self-sustaining suites are made of glass (floors, walls, and ceiling). The glass floor even has a patented underfloor heating system that doesn’t block your view of the plants underneath, while still keeping you warm. The solar powered pods have everything you need, including a stove and running water. 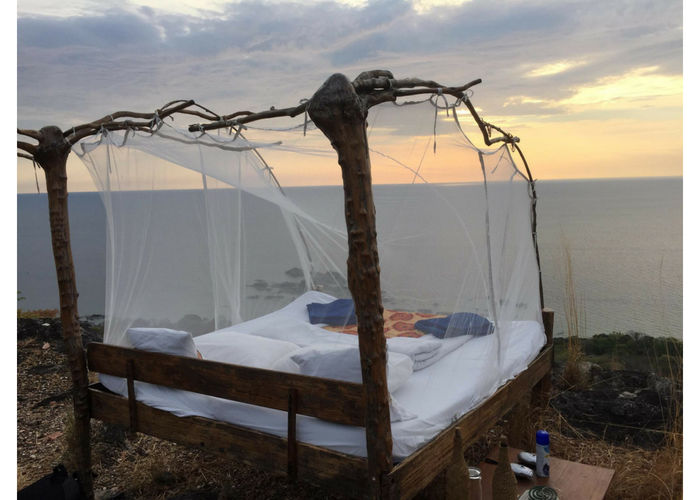 With no light pollution for miles, Nkwichi Lodge, set on the shores of Lake Malawi, is the ultimate stargazing destination. Book a night in the lodge’s luxe platform Star-Bed, available either on a deserted beach or on a private rock island. Either way, you’ll find it tough to close your eyes with just a mosquito net separating you from the wonders of the brilliant night sky. Caroline Morse has been known to plan a trip just to visit a one-of-a-kind hotel. Follow her on Instagram TravelWithCaroline and on Twitter @CarolineMorse1.